In present-day Delphi, California, the sole remaining guardians of the Plotinus Ability hide in plain sight as members of the exclusive Oculus Society until their leader, Octavia Harris, is killed in her own home. With no leads on the case, Octavia's daughter, Gretchen, vows to find her mother's murderer at any cost. One piece of the puzzle falls into place when Gretchen's best friend, Jessica Shaw, discovers the Plotinus Ability. Skeptical but curious, the two can't resist trying the ritual, but they're not alone. Ariel Miller, an outsider with a well-known hatred of all things Oculus Society, films the friends exchanging their first kiss, and it isn't long beforethe video goes viral. As Ariel's guilt and the girls' suspicions of her mount, the three must forget the past and trust one another if they are to find the murderer still in their midst. 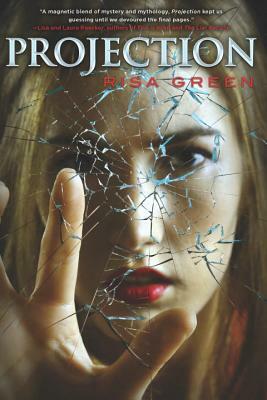 Risa Green is the author of the YA series "The Secret Society of the Pink Crystal Ball," as well as the critically acclaimed adult novels, "Notes from the Underbelly" and "Tales from the Crib," which were the basis of an ABC television series. Prior to becoming a writer, Risa worked as a high school college counselor, and also spent two years doing hard time as a corporate attorney. Born in the Philadelphia area, Risa now lives in Los Angeles with her husband and two children. "An intriguing blend of mystery and mythology, Projection kept us guessing until we devoured the final pages." "The plot pleasantly surprised me.... It is very well written... I am looking forward to reading more adventures with these girls and their secret society!" "The book was a delight to read and a fresh breath into the YA genre."